The word of the LORD came to me, saying, “Before I formed you in the womb I knew you, before you were born I set you apart; I appointed you as a prophet to the nations.” “Ah, Sovereign LORD,” I said, “I do not know how to speak; I am only a child.” But the LORD said to me, “Do not say, ‘I am only a child.’ You must go to everyone I send you to and say whatever I command you. Do not be afraid of them, for I am with you and will rescue you,” declares the LORD. What is your “call” in this life? A question worth contemplative reflection whether young, middle-aged or “up in years”. It is never too late for such musings. Lately in the midst of my contemplative study of the book of Jeremiah I have once again considered God’s 1987 call to both me and my wife to join His global purpose of recruiting, training and mobilizing Latin American workers to love and respect unengaged Muslim peoples of the world with the Gospel of Jesus Christ. Through this exercise God is confronting me on a personal level in the midst of what has been a rather chaotic ebb-and-flow preparation for our long-awaited sabbatical to the USA to begin hopefully in August (yes, we have had setbacks, as well as welcome spiritual breakthroughs during these months, but we continue to trust God for this much-needed season of rest and fellowship with our beloved support base). 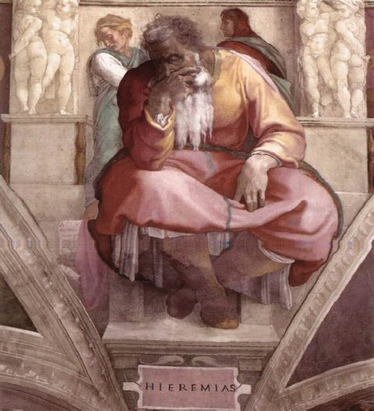 Jeremiah, considered a prophet by Jew, Christian and some Islamic traditions (cka. Irmiya), was born into a middle-eastern world at political odds, sometime around 626 BC; a world defined largely by emerging and declining empires throughout the then known world. What was once a glorious Jewish Kingdom under the kingship of David was now only a shadow as a result of a two-state political division that left two remnant tribes to the south, Judah and Benjamin, tribes that had been able to ‘hold out’ as The Kingdom of Judah for a little more than a century since the shocking defeat of the ten northern tribes (a.k.a The Kingdom of Israel/Samaria) to the Assyrian empire in 722 BC. Jeremiah was born in a priestly household of the tribe of Benjamin and his ministry began with a call from God at a young age, a ministry that would last more than four decades, spanning the administrations of five kings of Judah… Josiah (640-609 BC), Jehoahaz (609 BC), Jehoiakim (609-598 BC), Jehoiachin (598-597 BC) and Zedekiah (597-586 BC). He was a spurned prophet by many on account of his announcing the fall of Judah to the Babylonian Empire, an unpopular message that earned him scorn and occasional imprisonment as a perceived traitor, not to exclude the unabated threat of ‘loss of life’ by nobles, soldiers and even common folk. He prophesied not only the complete destruction of Judah to include its pride and glory, the Temple of Solomon, but also a seventy-year exile of the Jews to Babylon that would include the cruel death of King Zedekiah, his family and administration for their incessant disobedience to God’s warnings. Furthermore, he proclaimed other prophesies that can only now, centuries later, be understood through the life and mission of Jesus of Nazareth, not to exclude prophecies that are yet to be fulfilled. His life is a testimony there is a living God who is omnipotent, omniscient and omnipresent, who hears, reveals and moves not only nations, but also individuals like you and me. Jeremiah’s ministry began with a call from God (see Jeremiah 1:4-8 above). It was an unusual call as it was issued before Jeremiah was even conceived (a call in the mind of God before the very existence of Jeremiah) and further extended upon him in his mother’s womb before his birth. 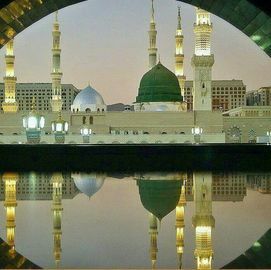 Jeremiah relates God calling him to prophethood before he even knew consciousness, a statement if true (and we believe it to be so) that demonstrates not only the sanctity of the unborn at any and all stages of life, but also divine mandates given by God when and to whom He chooses. What is my mandate and do I take time to remember? What is your mandate and how have you reflected upon it? How do we understand the Divine Spirit of God to have moved upon us in the womb and even before? Have we taken adequate time to reflect on these wonders in our busy lives? God appointed Jeremiah a prophet to the nations (Hebrew: goyim), i.e. the surrounding peoples a good Jew would have easily identified as not being chosen of God, a Gentile, those of the ‘lesser fold’ and certainly not chosen. Jeremiah clearly understood his mandate from God and in fact prophesied, preached and declared the virtues of Almighty God to the Ammonites, Edomites, Philistines, Moabites, Egyptians, Arabians, Elamites, Syrians and of course the Babylonians, all surrounding ethnicities. He was truly an international cross-cultural worker and his ministry initiatives show clearly the heart-throb of God for all peoples and nations. Likewise, it appears these surrounding nations listened and even heeded his messages at times, witnessed for example on the occasion Nebuzaradan, commander of the imperial Babylonian guard, made reference to the Almighty God of Jeremiah as the One who gave the Babylonians victory over Israel. He subsequently freed Jeremiah from the imprisonment he had incurred by his own King Zedekiah for his faithful prophetic witness (Jeremiah 40:1-6). ​Finally and to the central point of this longer than usual reflection… once we discern a call from God we often face fears in carrying out that call, often times looking for excuses or capitulating to the schemes of the evil one as he convinces us of our inadequacy to fulfill God’s mandate. We see this in Jeremiah as he centered upon his inability to speak due to his youthfulness… “I do not know how to speak; I am only a child,” he says (Jeremiah 1:6, NIV). It is interesting God does not argue with him regarding his inability to speak, an apparent fact God seemed ready to concede to Jeremiah. Rather, he rebuked Jeremiah for giving his raison d’être, i.e. his perceived cause for his inability to speak as being his youthfulness. God said to him, “Do not say, ‘I am only a child,’ essentially agreeing with him that he could not speak well, yet desirous to remove his foundational argument for that reality. It was then that God declared His purposes and promises to Jeremiah were he to obey in spite of excuse. This is no small point. We may clearly see our inadequacies to accomplish this or that call from God, but often wrongly conclude the reason for such inadequacies. When we do this we are essentially deferring to our excuses and placing them above God, sin that is displeasing to God in no uncertain terms. I have had many opportunities over the years to resist God’s call upon my life, but when I slow down, reflect and remember, He brings me back to see my error of dismissal. God invites us all to a ‘reflecting pool’ that takes us beyond excuses and any perceived cause for inadequacy to a place of relying upon Him to enable us to accomplish His call upon our lives regardless of realities. It's HIS 'reflecting pool' that matters.